How much is bottle service on Saturdays at Lure Nightclub? Back bar table $450, 4 comps. Main room (special #1) $700 for 2 Ketel One Premium Vodkas, 8 comps. Main room (special #2) $800 for 2 Premium Bottles of Choice, 10 comps. Larger table on dance floor $1000, 12 comps. Stage table $1500, 15 comps – Best table in the club! Lit Saturdays at Lure Hollywood. High-tech 18,000 sq. ft. dance club with name DJs and bottle service, celebs and stargazing. Read on to find all to know about Saturday nights at Lure Nightclub. If your weekends are all about multicolored neon lights, famous faces, and pretty people; then look no further. Welcome to Saturday nights at Club Lure Hollywood. Located at 1439 Ivar in the heart of Hollywood. Boasting over 50,000 watts of sound and high definition LED Walls, Lure features a state-of-the-art Kryo system, 110 kinetic light spheres synced to the music, plush lounge seating and four full service bars. With a massive dance floor and 18,000 feet of party space, most people would think that there’s plenty of room to spread out – nope. It’s packed to the rafters with people ready to turn it up & get Lit Saturdays at Lure! Superstar DJs and high profile celebrity live performances draw a ready to party, chic crowd. 2 Chainz, Trey Songz, Travis Scott, Fetty Wap, Wiz Khalifa, Yo Gotti, Bryson Tiller, Eric Bellinger, Lil Uzi, Playboi Carti … Big names drop it like it hot at Club Lure Saturday nights. The next time you are planning a fun night out on the town where you’ll rub shoulders with the fabulous and famous; you may want to consider getting LIT at LURE. It’s vibrant, colorful and absolutely off the hook!! For tables with bottle service reservation, guests can use form below to contact us. 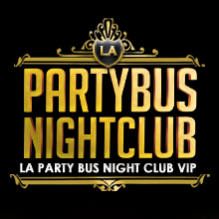 Or skip the reservation form and call a nightlife host directly: Quick & Easy! Call (or text) Now: 310-749-9029.